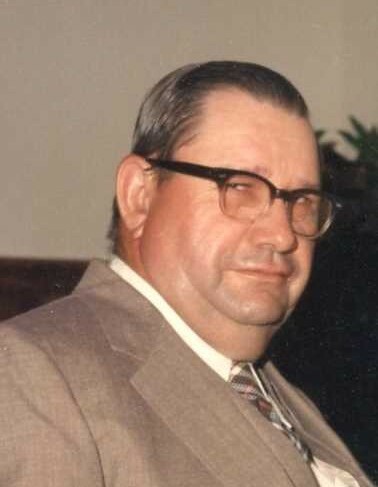 Mr. William Levon Loper, 87, of Millry, AL passed from this life Saturday, March 23, 2019 at his residence. He was born in Washington County, AL on Wednesday, September 30, 1931 to Willie Loper and Miranda Smith Loper. He was a member of Laton Hill Baptist Church. He was retired as an electrician at International Brotherhood of Electrical Workers (Local 505). Mr. Loper is preceded in death by his wife, Daisy Jordan Loper; father, Willie Loper; mother, Miranda Smith Loper; 2 brothers, Houston Loper, C. H. "Howard" Loper; 3 sisters, Minnie Lee Williams, Alma Jean Pope, Eula Mae Scarbrough. He is survived by his loving wife, Sonja Dyess Loper, Millry, AL; son, Travis L. Loper (Gloria), Laton Hill, AL; daughter, Susan Parnell Brown (J. W.), Tibbie, AL; 3 step sons, Douglas Dyess, Millry, Dale Dyess, Darwin Dyess (Melinda) all of Millry, AL; 2 step daughters, Brenda Tesnow, Columbus, OH, Barbara Mims, Ackerman, MS; sister, Beatrice Lee, Mobile, AL; grandson, Ryan Cade Parnell (Kim), Tibbie, AL; great granddaughter, Kalee Elizabeth Parnell, Tibbie, AL; 11 step grandchildren; 7 step great grandchildren. Visitation for Mr. Loper will be held from 10:00 AM to 11:30 AM, Tuesday, March 26, 2019 at Laton Hill Baptist Church, 62 Nathan Jordan Road, Chatom, AL 36518. Funeral Services will be held at 11:30 AM Tuesday, March 26, 2019 at Laton Hill Baptist Church in Chatom, AL with Rev. Phillip Howard and Rev. James Saucier, Jr. officiating. Interment will be in Springbank Baptist Church Cemetery, 27 Springbank Church Road, Chatom, AL 36518.